Due to the fresh water springs and limestone catchment basins Paleo-Indians occupied these areas as early as at least 14000 years ago. The Potano, an aboriginal American Indian Timucua people flourished here at the ranch location and throughout North Central Florida at the time of European arrival in the 1500's. 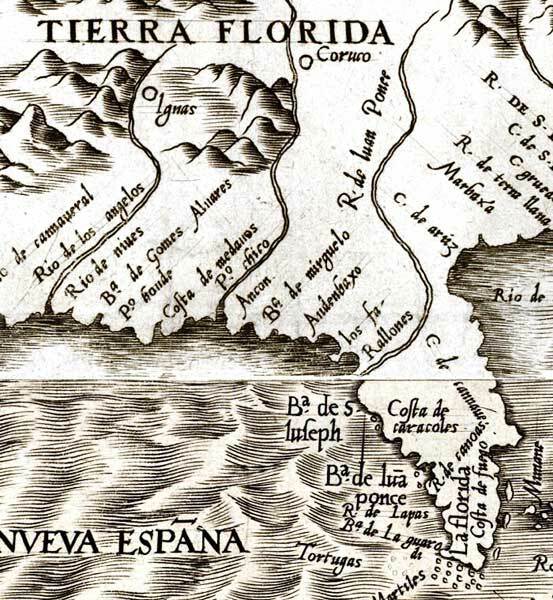 The pre-Columbia Timucua were the first to see the landing of Juan Ponce de Leon nearby in 1513. Later in 1526, Charles V- Holy Roman Emperor appointed Panfilo de Narvaez as adelantado (governor) of Spanish Florida. Narvaez and Alvar Nunez Cabeza de Vaca then led an expedition to Florida in 1528 to enforce the new claimed lands, and here they encountered the local Timucua Indian territory. Next in 1539 Hernando de Soto, the Spanish explorer and conquistador had multiple contacts with the local Potano people and visited the Potano Indian village, as well set up an advance party and support camp here on the edge of the prairies. In 1562, Jean Ribault, a French naval officer came in contact with the 16th century Timucua cacique (chief-king) Saturiwa. Two years later in 1564, due to the friendly relations with chief Saturiwa, a group French Huguenots led by Rene Goulaine de Laudonniere a Protestant nobleman, attempted to establish further settlements to the Northeast of the present day ranch. A map by Jacques le Moyne de Morgues who accompanied Laudonniere shows the location of the Eloquale village, west of the Aquouna village, which after declination correction is the current location of The White Ranch. According to Dr. Gerald T. Milanich, Curator Emeritus in Archaeology for the Florida Museum of Natural History, the Potano Indian village next to Orange Lake was raided in September of 1564 by the Utina Indians with the help of French soldiers led by Laudonniere's Captain Le Vasseur. Then again in spring of 1565 thirty French soldiers with the overwhelming firepower of military weapons assisted three hundred Utina Indians with a successful raid against 2000 Potano warriors. That same year 1565, the Spanish under admiral Pedro Menendez de Aviles surprised the Huguenots and captured Fort Caroline establishing Spanish rule, and for his reward Menendez was appointed governor of Florida. Nearby St. Augustine was established as the Spanish capital of their new province and endures today as North America's earliest permanent settlement. This was 21 years before Sir Walter Raleigh attempted to found an English settlement on Roanoke Island in North Carolina. The colonists at that location mysteriously vanished and thus this incident became known as the Lost Colony. In his research text titled: Florida Indians and the Invasion from Europe, Dr. Milanich explains in 1567 the Potano Indians attacked a detachment of Spanish soldiers led by Captain Pedro de Andrade. This location would have been most likely in the Citra - Orange Lake area. In 1574 Florida was made a crown colony by the Spanish King and he appointed Pedro Menendez Marques as the new governor. 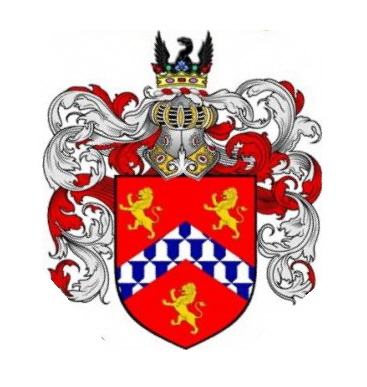 The Menendez Marques family was then allowed to claim the extremely valuable grazing lands of La Chua. This strategic parcel of beautiful land, chosen more than 400 years ago, constituted the Black Sink Prairie, which is the current location of The White Ranch and the adjoining Paynes Prairie. This legacy location has the honor of being the oldest continuous ranch and farm land in North America. During the 1570's Spain's King Phillip II encouraged the Roman Catholic Church and the Franciscan Order to further the colonization and establish missions in Florida. Saint Francis of Assisi first established the formal Order of Friars Minor in 1209 Italy. They had early success with the Timucua in the latter part of the 1570's. In 1585 the Spanish raided the Potano Indian village near Citra in retaliation for the 1567 attack on their Captain and soldiers. Around this same period Sir Francis Drake the English privateer attacked and burned nearby St. Augustine in 1586 and over the years many pirates plundered the area as well. The Spanish however kept control of their colony and in the period of years between 1612 and 1616, just southeast of The White Ranch, the Franciscan friars built two missions among the Acuera people. These Spanish missions were named the San Luis de Acuera mission and the Santa Lucia de Acuera mission. Spanish documents confirm both of the Acuera mission villages were operational for only a few years. In the following years, a series of epidemics that were caused by the European pathogens killed nearly 100 percent of the local native tribes. The missions in central Florida were abandoned. Their locations over the past 400 years have always been known to locals, but their similiar Spanish names created some questions. Their archival histories were re-confirmed in Seville, Spain by Dr. John E. Worth, Assistant Professor of Anthropolgy at the University of West Florida and currently test excavations are underway. Dr. Worth's research also found documents demonstrating that after the 1656 Timucuan Indian Rebellion, some missions were abandoned and the Spanish relocated many of the missions into geographic groups. Historical records confirm that the site of Florida's first interior doctrina mission west of the St. Johns River was also abandoned during the Rebellion. This regional mission called San Francisco de Potano was founded by Father Martin Prieto in 1606. Detailed site investigation by University of Florida archaeologists Dr. Kathleen Deagan, Distinguished Research Curator for the Florida Museum of Natural History and Dr. Gifford Waters, Archaeology Collections Manager of the Florida Museum of Natural History, have discovered Mexican majolica at the site. This finding supports the conclusion that the Spanish moved back to this doctrina mission just a few years after leaving it, only to abandon it again in 1706. In 1682 France used buccaneers and privateers to attack the cattle ranches on the La Chua prairie. This was a serious situation, as these important ranches were the major source of food and stores for the nearby capital of St. Augustine. This event also signaled the beginning of many incursions into the Spanish crown colony. Next in 1740 a siege of the area led by James Oglethorpe, the governor and founder of the English colony of Georgia failed. His force of British regulars and Royal Naval support was countered by the Spanish and the attempt abandoned. In 1763 the kingdoms of Great Britain, France, Spain, and Portugal together signed the Treaty of Paris and ended the Seven Years' War. This treaty conveyed the lands of Spanish Florida to Great Britain and at that time the southern border of Spain's actual expansion was the valuable La Chua prairie located in what is today Marion and Alachua counties. Under British rule the economic viability of Florida improved due to the continued agricultural practices around the edges of the Black Sink and Paynes prairies. Citus orchards and indigo planting went well and colonists as well as visitors came to Ocali Country. John Bartram a botanist accompanied by his son William arrived by request of the Royal Gardens of London in 1766. They were on an expedition to find new plant species to add to the Gardens' vast collections. William returned to the area in 1773 to explore the springs and prairie, as well to collect and draw many of the plants, birds and even the aborigines. He met with Ahaya, the chief of the Alachua band of the Seminoles which were now recognized by the British and began to flourish locally. At the end of the Revolutionary War, England returned Florida to Spanish rule. This lasted until 1821 when Spain gave Florida to the United States, because they were under extreme pressure due to Napoleon's invasion of Spain. Florida's Spanish colonial governor had one final act before conveying the land to the United States and that was to grant all of the very valuable La Chua prairie and the bordering lands to Spanish nobility. The White Ranch lies today within an original nobility land grant confirmed with the Adams-Onis Treaty, signed by United States Secretary of State John Quincy Adams and the Spanish Minister Luis de Onis on February 12, 1818. The Treaty was ratified by both countries on February 22nd 1821 and that would be the last year the Spanish flag flew over Florida. In the early 1800's a Naval Stores Industry operated on the Ranch. This quaint term comes from the urgent need to harvest turpentine oleoresin from the longleaf (Pinus palustris) and slash pine (Pinus elliottii) to weatherproof wooden ships. The old turpentine collecting pots made of fired clay have been collected throughout the Ranch as well cat faces. A cat face is the amber rosin soaked diagonal cut surface that remains on ancient or dead trees. The side of the tree has been flattened with cuts slanting toward the center of the surface often with remaining pieces of tin that directed the turpentine flow into the hanging ceramic pots. Peat mining and commercial citrus also have a history through out the 1800's on the Ranch location. Few orange groves in this area survived The Great Freeze of 1894-1895, but citrus continued on the Ranch location until the 1970's when repeated frosts proved an end to this commercial business. Essential siviculture has sustained the area even before the Civil War, and since the late 1800's professional planted pine plantations were maintained on the Ranch location by Florida Turpentine, then International Paper, Hudson Pulp and Paper, Georgia Pacific, North American Timber and Plum Creek. The Ranch location's ecological diversity was preserved and maintained by companies following the State of Florida Division of Forestry Best Management Practices. Since the White family purchased the Ranch location the timber harvesting has ceased and the White’s have instituted a conservation program that should be the standard for others to follow. The White Ranch continues as a leader in environmental stewardship and progressive eco-friendly sustainable agricultural practices. As quiet visionaries the White family has purchased properties worth untold millions in development potential and shockingly set them aside for preservation. These vast areas serve as needed wildlife corridors and habitats, protecting 1000's of threatened and endangered species, as well as, recharging Florida's aquifer, providing clean fresh drinking water for everyone. The White's pristine forests and lush green wetlands create a huge carbon sink, absorbing more than a million metric tonnes of carbon dioxide from the Earth's atmosphere. The White Ranch is currently working with The Florida Department of Agriculture and Consumer Services Healthy from Florida program and participating with the University of Florida Institute of Food and Agricultural Sciences to promote improved breeds of cattle. Rene Goulaine de Laudonniere on the 1564 expedition. That color engraving was later published by Theodor de Bry in 1591. Click on the links below for extensive historical map archives.